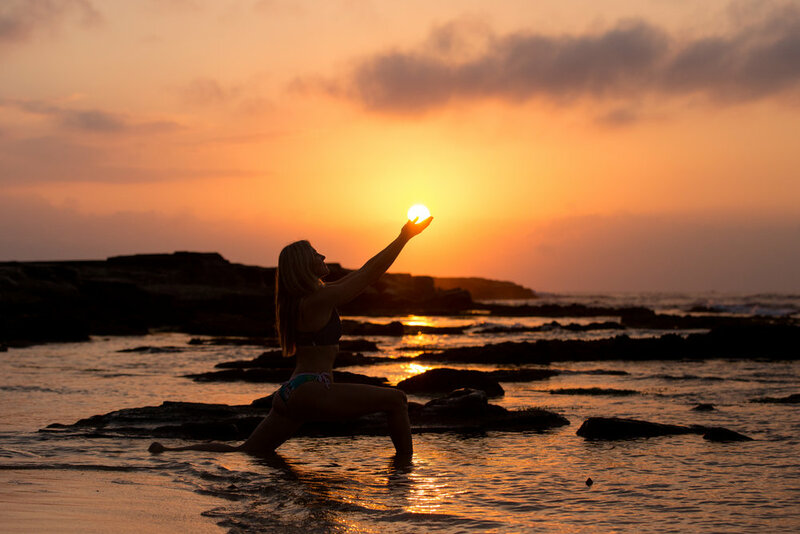 Kate Duncan is a full time Digital Nomad, a Writer, a Mindful Living and Soul Coach, Retreat Facilitator, Meditation & Yoga Instructor, Reiki practitioner and lifelong student. In 2016 Kate resigned from a 13 year career as a Firefighter and Intensive Care Paramedic. She is now on a mission to liberate fellow souls from their suffering and self-imposed limitations. The only thing Kate loves more than surfing is the Buddha Dharma. She has been a practitioner of Buddhist meditation for a decade, and has sat (and facilitated) around 20 silent meditation retreats in the Insight tradition. Kate teaches yoga that has been inspired by the Dharma, her own journey of self love, and by the shared suffering of humanity. Her teaching is informed by her integral knowledge of the human body, the nervous system and the mind. Kate has facilitated many retreats: from Surf and Yoga retreats around the world (with SwellWomen), to silent meditation retreats in the Insight tradition. Kate lives a completely location free life, traveling the world facilitating transformational events, offering courses online, and one-on-one coaching for women just like you. Kate can’t wait to see you in paradise.